Fuel injectors are part of the fuel injection system of your car which get the right amount of air and gas or diesel from the tank to the engine depending on how much the engine needs. When you start your car, there are sensors that tell the computer unit in your car the amount of air in the car. Your car’s computer based on the data given by the sensors give instructions to the fuel injectors on how much fuel they will spray into the engine. When the car is accelarating, the car’s computer will instructs the fuel injectors to spray more fuel into the engine. When the car is slowing down, the ECU will instruct the fuel injectors to decrease the amount of gas. Fuel injectors are activated by electricity and sometimes your car don’t start because of problems with the electricity that is goes into the fuel injectors. Withouth the electricity, fuel injectors will not spray fuel into the engine which will not start the car. This is only one possilble cause why your car’s engine won’t start. There can be other cause. To see if the problem is really with the fuel injectors, you need a diagnostic tool called a noid light. 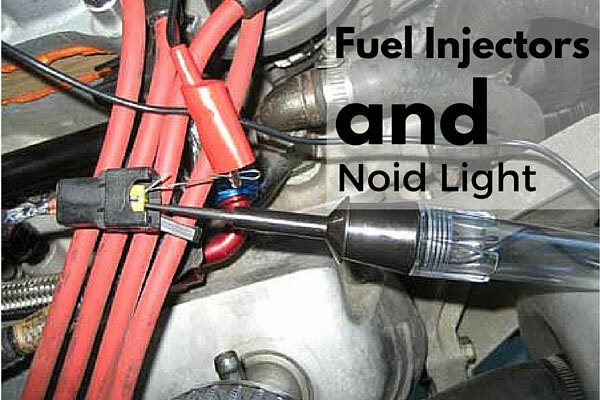 A noid light is a simple device that tells you if there is electricity that is passing to your fuel injectors. Just pull off the fuel injector and replace it with the noid light. Crack your engine. If the noid light flashes, it means that there is electricity passing through and the engine’s trouble is not caused by the fuel injectos. You can not check for other possible causes of your engine problem.